A nice cup of coffee and I'm ready to work. 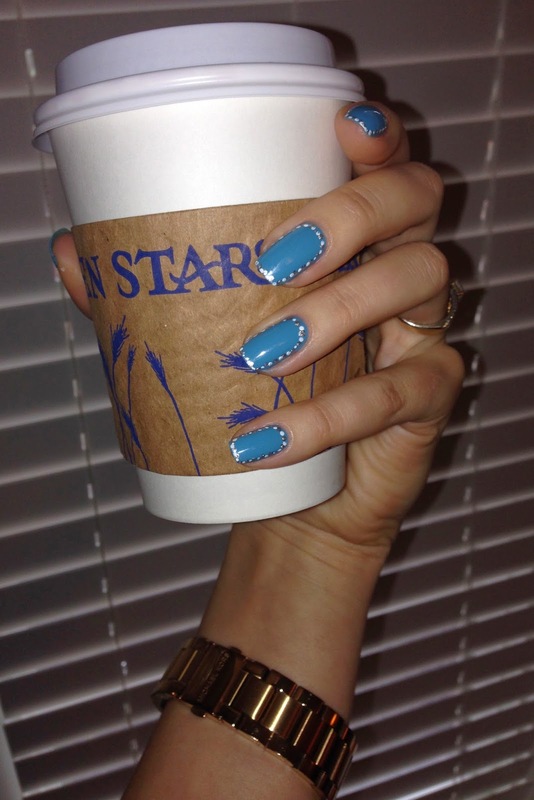 Here is a new design inspired by Tiffany & Co. You can't miss this color just like you can't miss a bright star in the sky. 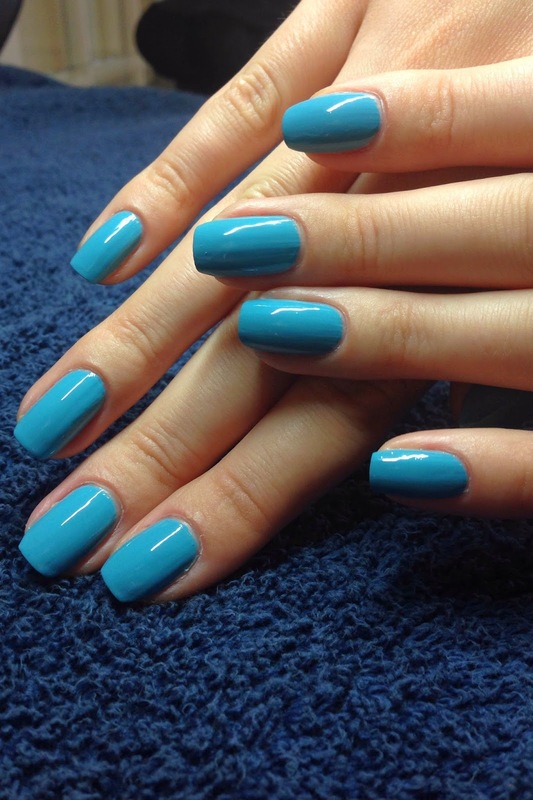 Start with applying base coat and two coats of polish of your choice. I chose Can't Find My Czechbook by OPI. 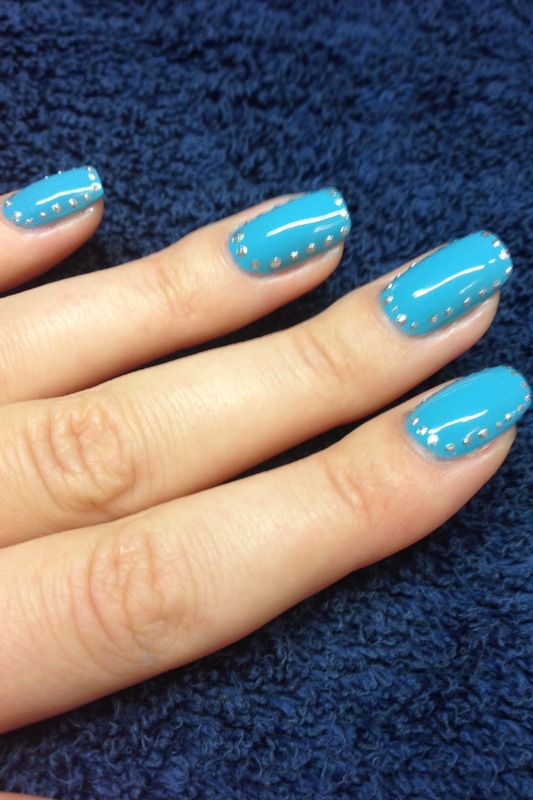 Put a few drops of DS RADIENCE by OPI on a piece of paper and prepare your dotting tool. 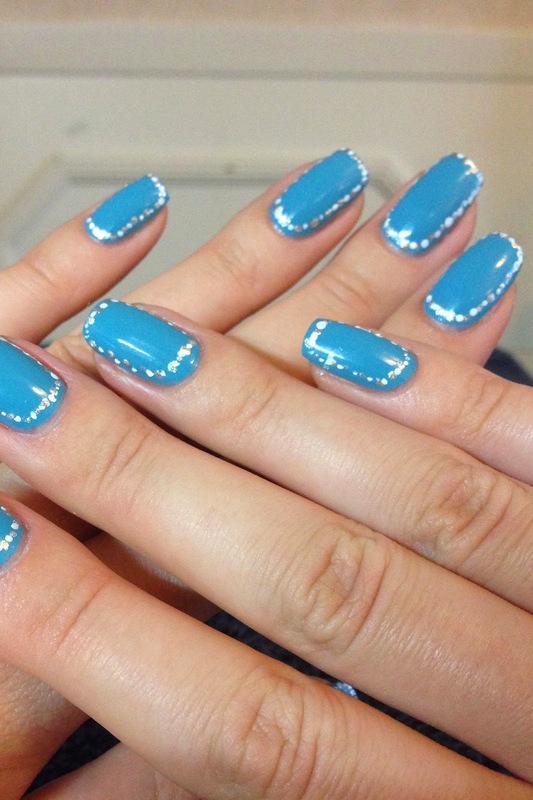 Put dots around your nail with a small gaps in between. 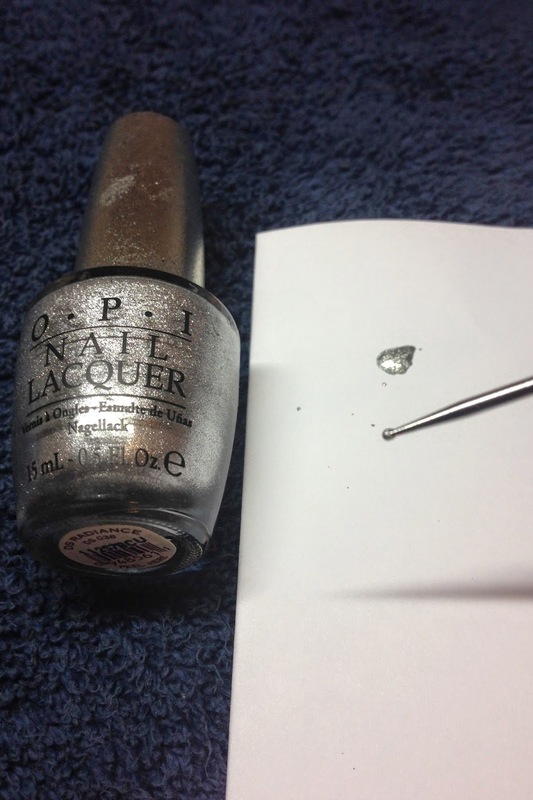 using Alpine Snow by OPI put dots in between the silver ones. Now shine bright like a star.